Discover confidence through security with Rochester. 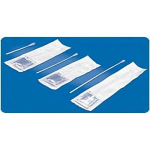 Sportaid provides a wide selection of Rochester supplies for your urological needs including the Rochester Anti-Bacterial Personal Catheter Male or Female, Rochester Medical Magic3 Antibacterial Intermittent Catheters, and many more. The primary aim of Sportaid's partnership with Rochester is to provide quality products for continence care and bladder drainage. 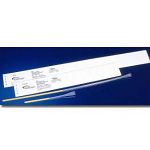 Browse through our full range of Rochester Catheter Supplies & Urologicals or feel free to call 1-800-743-7203 if you have a question, we are here to help! We are also proud a collection of new favorites by Rochester. 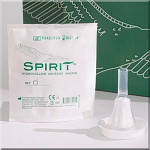 Rochester Medical's line of Spirit Male External Catheters take advantage of the impressive combination of hydrocolloid and silicone. All three styles are available now, so check out Style 1, Style 2, and Style 3. 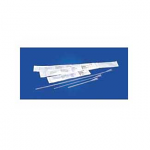 Get your Rochester Catheter Supplies & Urologicals from Sportaid and save up 62% today! New customers can take advantage of the same satisfaction guarantee we offer those who have been shopping with us from the beginning. After over 25 years in the business helping people find Rochester Catheter Supplies & Urologicals at the lowest prices, we continue to lead the industry! We carry a large selection of wheelchair cushions, wheelchair parts, and wheelchair accessories. We are capable of beating any competitor's advertised price, just call! Our customer service staff has over 50 years of experience, plus over 90 years of combined wheelchair use experience. We look forward to working with you! 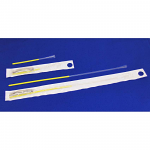 I like these Catheters because they are made of a heavier guage plastic, i have had problems with the more elastically guaged catheters crimping and therefore not empting the bladder.